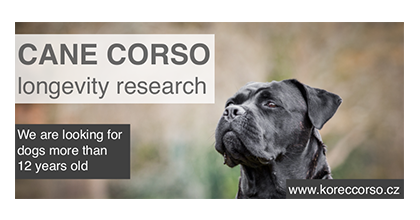 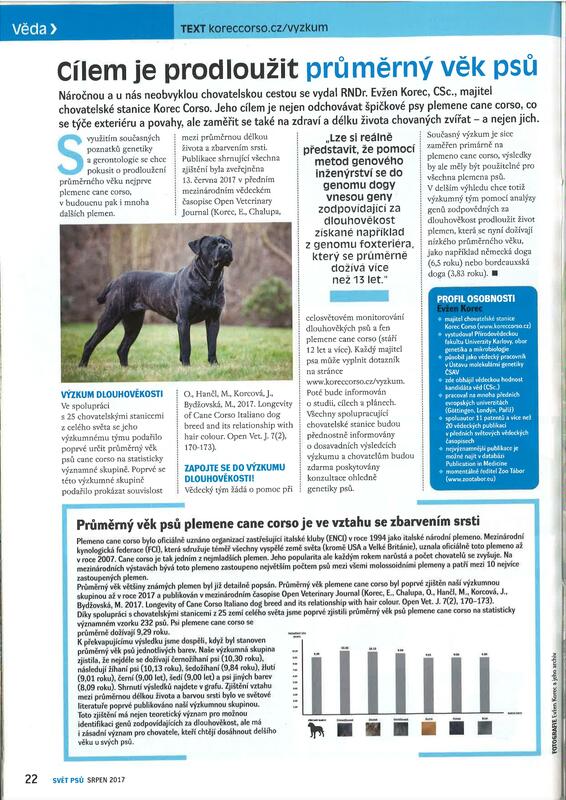 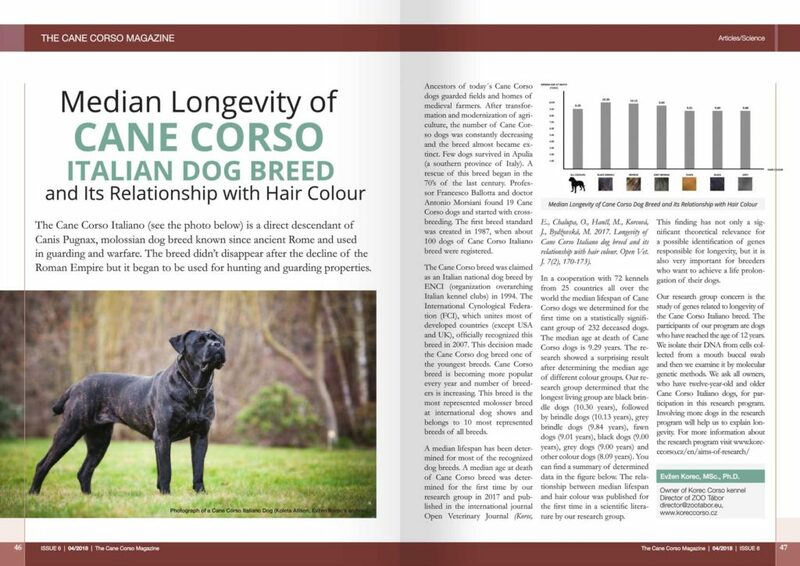 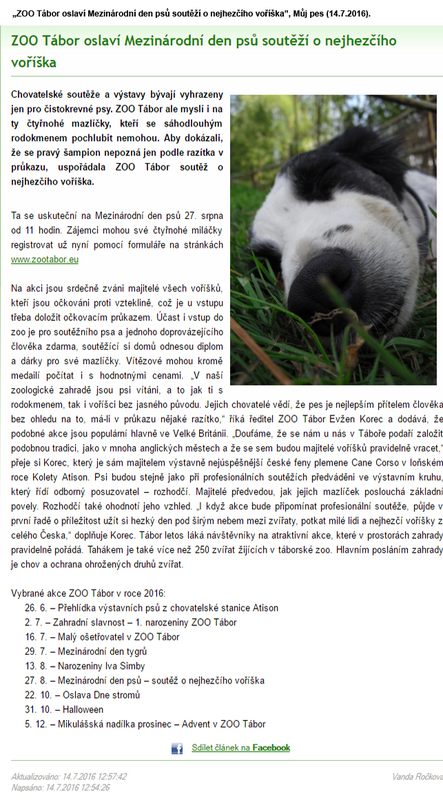 Article about the Cane Corso longevity research in the prestigious czech magazine about dogs – Svět psů (World of Dogs). 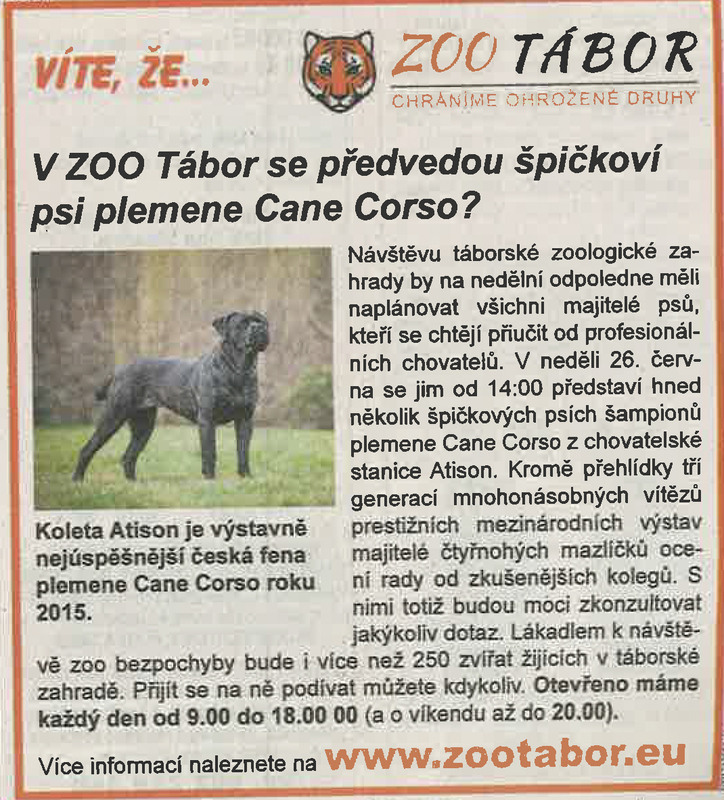 „TOP quality Cane Corso dogs will meet in ZOO Tabor”, Táborský deník (20.6.2016). 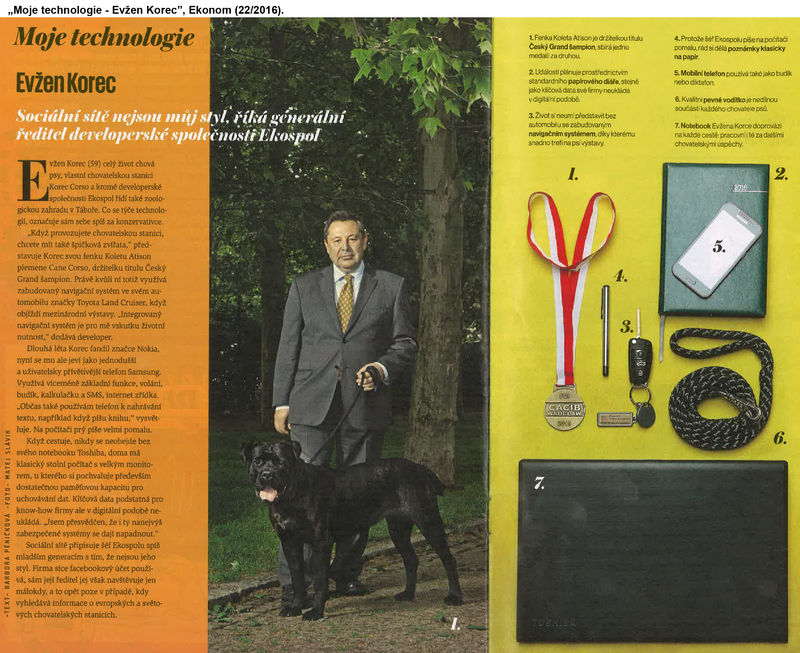 „My technology – Evžen Korec”, Ekonom (22/2016).